It’s conference season which means I get to go to nice places and meet and learn from interesting people. 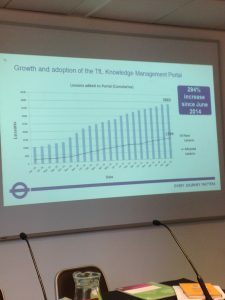 This week I was in London for the annual Knowledge Management UK event and a cracking good couple of days it turned out to be. Well attended by 60 or so KIM professionals, it was chaired by Ian Rodwell @Irodwell of Linklaters who I’d recommended and who did me and Laura Brooke of Ark @LauraAtArk, proud. From the ice breaker opener onwards Ian’s touch was light but assured and the delegates all participated with enthusiasm. I got something out of every presentation which might sound a bit arrogant but when you’ve been to many KM events there are usually a couple that don’t quite cut it. This time each speaker slotted in well with the next and the event flowed. The number of KM ‘Veterans’ attending for the first time in a long while commenting how lonely the role can be (whatever it’s called) and how durable KM’ers have to be. Learning that the Govt’s 5 year Knowledge & Information Strategy (GKIS) produced in 2013 is still not published and unlikely to see the light of day. 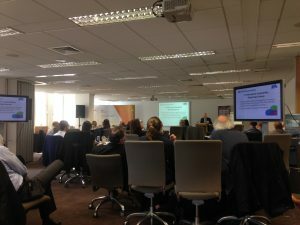 Yet work is still going on as David Smith explained to create career pathways for the cadre of professionals who comprise the civil service’s Knowledge & Information Management profession. 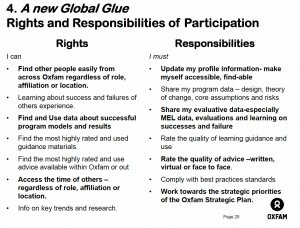 I didn’t get the feeling that CILIP are integral to those competency framework discussions which is a missed opportunity on both sides as there is no current industry group that effectively represent the KIM global profession as does a CMI or CIPD in Marketing or Human Resources (Personnel). Discovering that the average age of people in E&Y is 27 (hence generation Z to the fore). E&Y’s big challenge for is to move from a vertical to horizontal communications and employee engagement approach. Their Communities of Practice / Skills are a great way of cutting across silos. Despite all the ballyhoo around technology search is still not cutting it for most and my recent musings on the continued need for Assisted Search valid. The session on Artificial Intelligence (AI) whcih included the suggestion that it is ‘parked on the lawn’ of call centres and people who have to read long books for a living and are also engaged in risk management. Today AI does not do emotional intellience very well but that is changing despite reservations about the ethics of it. Linklaters are a good example of an organisation experimenting with AI to improve efficientcy. Nick Milton’s @nickknoco thoughts on adopting the 7 step Lean Model for a KM programme and the wastes of KM supply chain: excess production, delay, too many steps, excess hand-offs, defects etc. By a strange coincidence 7 came up in my presentation when I talked about the 7 ‘ates of a Knowledgeur. A separate blog will be forthcoming to coincide with my address to the CILIP annual Confrence in three weeks time. Christopher Payne’s @cjapayne excellent account of the Knowledge Management effort that is embedded in the Olympics. It is the most visible of all Project KM programmes (see alongside) with great potential to act as a benchmark for all big cross border multinational projects. Imagine the expertise they have developed (with quite a small team) in transferring knowledge from London to Rio to Tokyo all in the gaze of the global public. I know Chris is keen to share his knowledge with the greater KM community so contact him or hear him speak. TfL’s approach outlined by @LemmerLutz to making great use of Lessons Learned and feeding improvements back into process. The graph alongside illustrates the successful postings of lessons to their KM portal (up nearly 300% in 2 years). The broad acceptance that you can achieve a lot with a little. 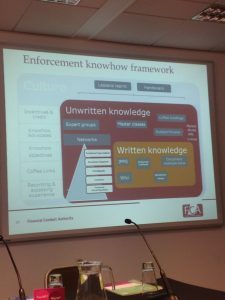 The Financial Conduct Authority presentation being a great example of how to make effective use of people by using communities and having an easily understood framework. I noted though that poor search is a real barrier to adoption and that the lack of a technical underpinning a constraint. 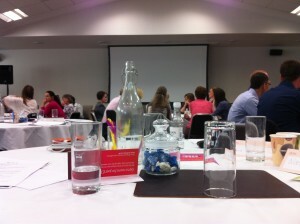 Hearing from a couple of people how Random Coffee Sessions can be effective. The idea is simple: develop a list of people who are interested in having short coffee meetings with peers on a 1:1 basis and pair them up on a periodic basis. The continued reluctance to share thoughts / observations on Twitter, a stance at odds with the audience’s oft stated desire to ‘Work out Loud”. How can you encourage others to do so if you don’t do it yourself? I wrote more on this subject a year back coining this phrase: It was like throwing a dart into a vacuum. What did I not hear I expected to? Social Network Analysis: Despite a real focus on Communities Social Network Analysis was not discussed. Not knowing who people go to for answers or who knows what is a risk to many businesses if those key but often hidden people depart. To a large extent the risk from the sudden departure of the ‘Expert’ is diminishing with the rise of empowered and informed knowledge workers and processes that contain embedded knowledge. Last week I attended the 12th annual Knowledge Management UK event in London. The format has changed little over the years: predominantly show and tell for an audience that is a mix of new in post and established mid level practitioners all looking for something to take back into their business. This year I noted an increase in the average age of the delegates and more from Small and Medium Enterprise (SME) sector perhaps reflecting how KM has become an accepted discipline across many organisations. I am particularly looking forward to seeing the feedback comments this year. I particularly liked this Bentley Motors presentation as it mirrored my experience helping to intergrate a group of Anglo / Dutch / German / US businesses a decade ago. Now part of VAG group it has embarked on a medium term programme to align itself with their aspirations and working practices without a loss of the perception of quality. 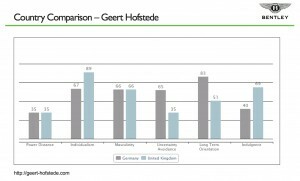 The Hofstede findings when looking at German and UK characteristics pick up nicely where the potential areas of conflict were likely to be. The premise behind the programme: information sharing requires the right cultural environment not a set of slloed business units. 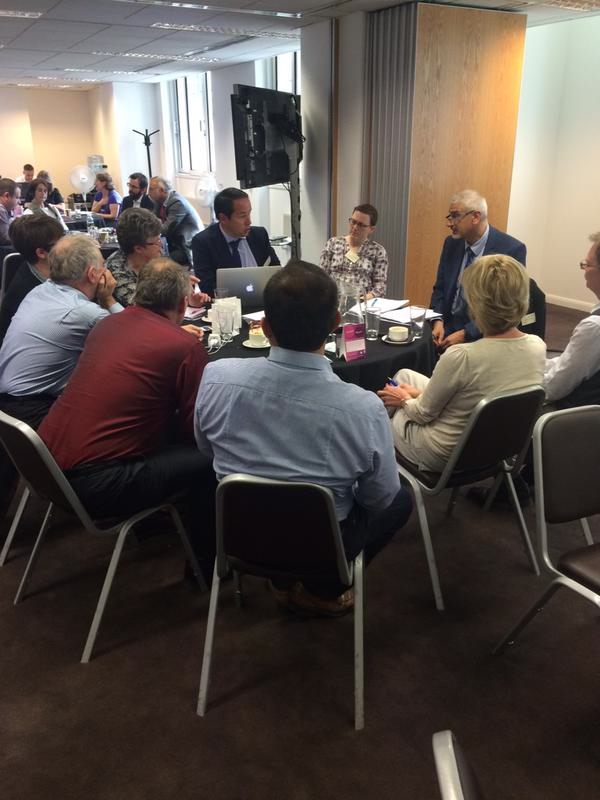 This session provided a great illustration of the importance of working to an agreed vision for a KM programme. The slide I’ve picked here makes explicit the concept of get/give – if you benefit from something you have a responsibility to contribute something back in return. Its a great example of what being a knowledge driven business is truly about. 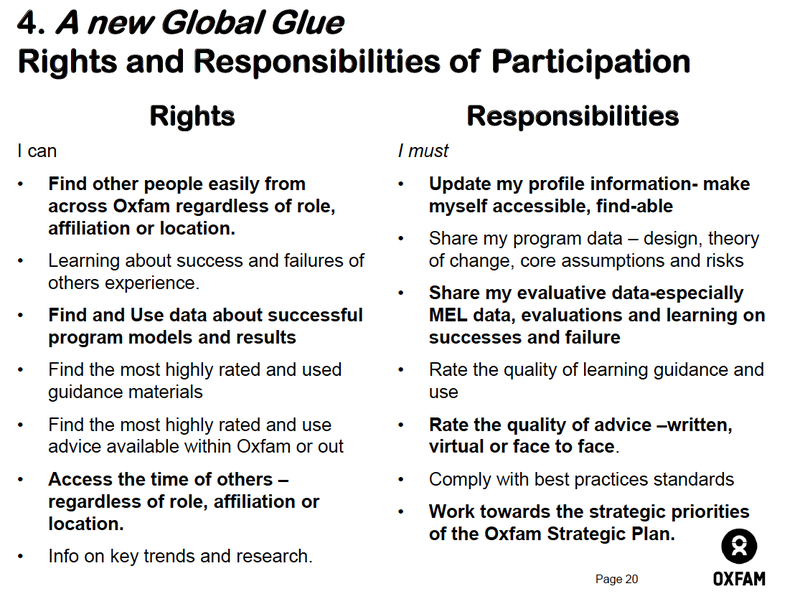 The second slide provides an image of what collaboration will look like in the future at Oxfam. What’s really interesting is the explicit acknowledgement of the need for information underpinnings (including Search) to provide KM benefits. There were a couple of others and if anyone wants a truncated account follow this hashtag #KMUK2015. In what areas would you like to share your experience with others? What are others doing that you would like to find out more about? As a backdrop I shared this list to stimulate discussion. 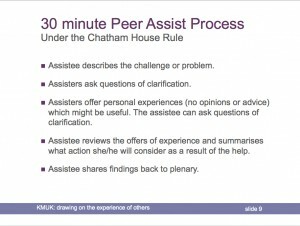 It wasn’t needed as many of the delegates were keen to have their challenge discussed and half a dozen volunteers came forward offering to act as the Assistee (host the discussion around their challenge). Below is a snapshot of the discussions taken from summaries which Laura Brooke of Ark Group captured on her smart phone. The idea of getting the Assistee to summarise is to consolidate the discussions and reflect back in plenary. I’ve shared them in case some of these might help you to overcome a challenge. On getting people to talk about experiences: Documents don’t work, stories of events do! On conducting After Action Reviews and getting people to acknowledge when things go wrong: often spoken about in meetings but minutes are not always taken and when they are they are not interactive so need a better way to record. Asking someone to tell you what they know won’t work, instead ask them: What questions do you get asked all the time? If you don’t know what people know at least you should know who to go and ask? Challenge of self perceptions: Some people think they know a lot others don’t think they know anything important which is where a 3rd party might come in to tease out the valuable stuff. Where to store: If you put everything into a site it would be too much. SharePoint to apply an automatic taxonomy. Saving time: at the beginning of the journey take an estimate of time to be saved and measure throughout. Help to develop people faster. If KM is making a contribution on a project that should be recorded. Improving the onboarding process so that new hires do not lose interest and leave. Idea box (self funding): adopted by an expert, any returns should be applied back to KM. Managing records: looking at information that has gone past sell by date and not legally required. Why are we asked about KM value: should be a given that its needed. Practical examples of what’s in it for me tailored for each office. Huge challenge getting people to fill in profiles on a people finder: need to show good examples with leaders to the fore. Collaborative groups: form a community among the leaders of each. 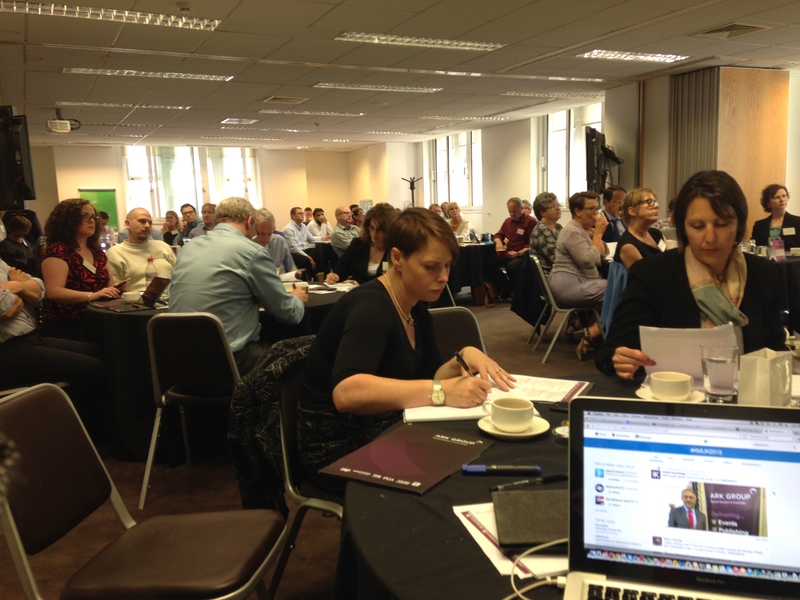 Contributions to the system: change appraisal process to recognise the contributions. Steering Group: make better use of it as system advocate. Metrics: really good internal measures should be used for advertising. When all else fails shut down the other systems! While senior people understand the value they don’t back it financially. 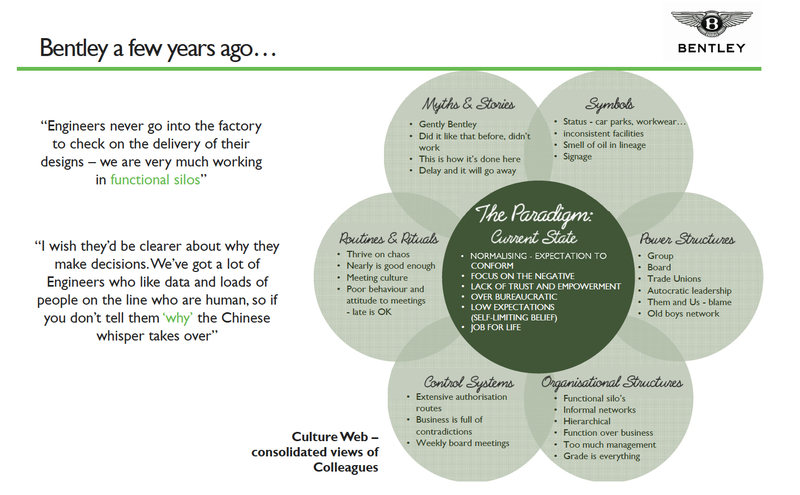 Siloed approach to communications: – a set of inconsistent messages even from KM champions. While KM is part of a strategy its often seen as a tick box exercise. Accountability: make objectives more transparent. 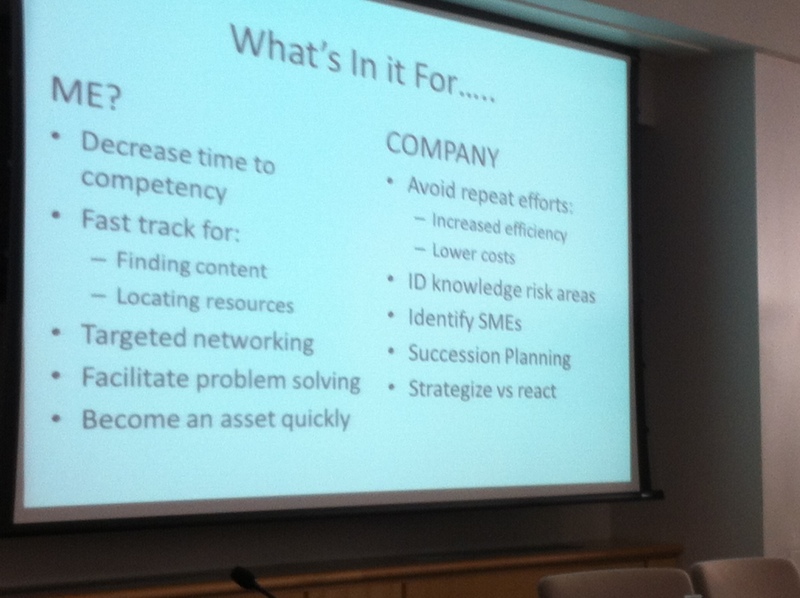 Business Case: more analysis on where we are starting from and show tangible stuff. Reporting lines: KM should be an agenda item on senior level meetings just like risk! Make them heroes part of the vision for future which they jointly own and where their role is clear. Recognise their workload and surface their inability to deal with multiple objectives with current resources. Reaffirm the importance of the KM development strategy and its priority. Look at success in other organisations: take IT ‘guys’ along to other organisations who have made it work. 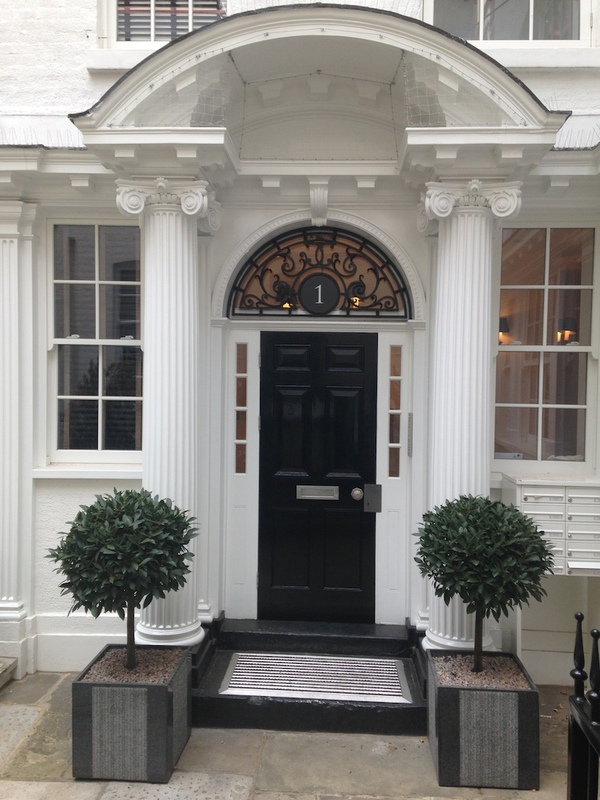 “I very much enjoyed being able to discuss a particular challenges with a group of peers. A Peer assist is a process that enables the gathering of knowledge drawn from the experiences of colleagues before embarking on a project or piece of work, or when facing a specific problem or challenge within a piece of work – How many of you have used Peer Assists in your business? Less than 10% put up their hands. Even with a modesty factor it still means less that 25% of Knowledge Management professionals at the event had used one of the most basic and valuable tools to draw on the experiences of others. I’m glad I gave people the chance to try it out and learn from each other in so doing to solve real problems they are facing. Running a portfolio of activities is great. It has downsides though: The feeling of anxiety about what’s next; or guilt at taking a time out to do pro bono work when I could be responding to a request from a prospective client. And like every business marketing and relationship management has its cost. But yesterday I decided to take a time out to reflect and think about the closing session at KMUK which I’ve been asked to lead. And this is how I ended up walking the streets. John Blackwell is someone I met many years back while he was an IBM’er. His ‘new’ organisation Quora devotes much of their time to help organisations think about the future of work and workspace. Those who follow what I write will know working environments (space: virtual and physical) is a topic I feel neglected in Knowledge Management strategies and implementation plans. mobile knowledge cafe in the street? Scene setting: David, Chris and Mel, explained what was about to happen over the next 3 hours. In a pre-session discussion I’d described my ‘doctrine’ of Orchestrated Serendipity and that was used to illustrate what might happen. This is what we did. 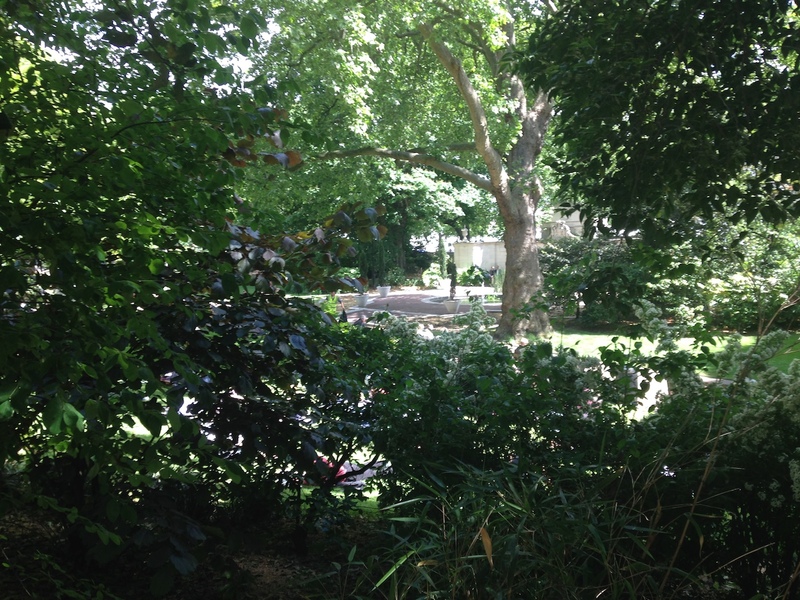 A wareness: Having assembled in 3 groups of 6 outside of the RSA we were invited to go off on our own for 8 minutes and observe – our choice, what we see and record. 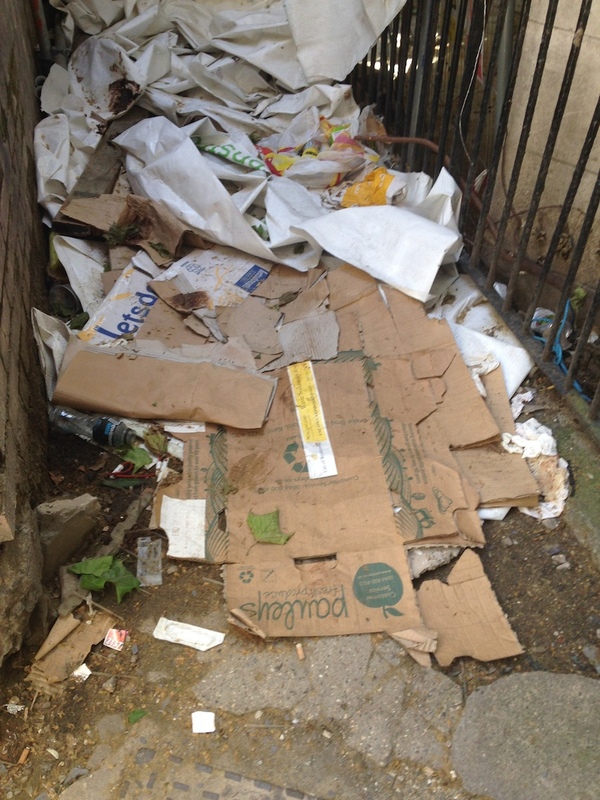 I noticed this pile (and someone’s bed) not 100 yards from this lovely peaceful spot. Slow: Back at ‘base’ we were asked to go off again at a very slow pace to see whether what we noticed is different because we have slowed down. My immediate emotion was of being in a bubble as everyone around me hurried about their business. 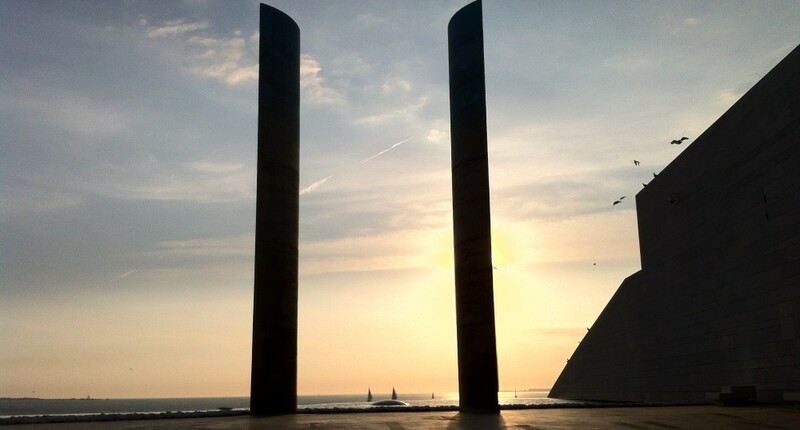 Certainly I was more attuned to ‘things’ and it felt like I do at airports where I often switch off and withdraw in as a way of coping with the vagaries of travel. My 8 minutes over I return to ‘base’. Patterns: With my new ‘friend’ Mark from Sheffield I set off in search of patterns. This was interesting. As we walked we reflected on how we had already seen things we’d not normally see. We parted, me to Caffe Nero, he to the pub, both to watch. I noticed: in a cafe people give themselves permission to talk; no one seems to use a paper map anymore, they use their smartphones; buses do come along in threes. Beauty: If the 8 minutes searching for patterns seemed a bit frivolous, 8 minutes looking for beauty (definition: ‘in the eye of the beholder’) was revealing. Literally 400 years from the rubbish and garden, up a twitten off The Stand I came across this magnificent abode which was being shown to a young Asian Student and his father. 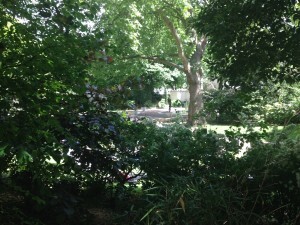 Amid the hustle and bustle of The Strand here was an oasis (at a price-1 bedroom starting at £895k!) which was aesthetically pleasing. Burning question: Fired up and ready to go I returned for my last task assignment. I was to go off for 30 minutes to answer a burning question. In my case this was to think about how I was going to run the forthcoming closing session at KMUK. Plenary: All valuable interventions end with a debrief / reflection session. Here we sat in a circle and shared what we’d seen and done. This was a precursor to a more expansive group conversation among two dozen people drawn from HR/Change/Facilities Management functions. While virtual working is hugely advantageous to many, not everyone’s personal circumstances or culture fits. Last week in Hong Kong I realised that with personal space at such a premium work has to take place away from the home. One virtual worker also noted that as a mother the flexibility is essential for her. 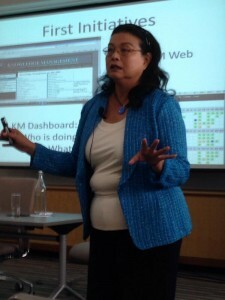 She did note though that personal contact is essential to make sure a virtual team functions to its optimal level. The grouping of people around a central office or campus is declining. One view was that the Google and Facebook campus facilities are the last hurrah for this type of environment. The future is about creating community hubs (closer to where people live) that permit drop out/drop in attendance based on a concierge hotel style service. Current contractual arrangements are too restrictive and Zero hour contracts exploitative and not conducive to creating the element of trust needed for a different approach to task management. We discussed the idea of giving staff ‘space cards’ which they can redeem against usage at such approved venues. No one is training us to work in the new way or in virtual teams and the training should begin in schools. Digital was an adjective, now its a noun and with Bring Your Own Devices (BYOD) we are entering an era of extreme customisation of the workplace by the consumer. No one ‘owns’ the topic at a senior level. Like Knowledge Management ways of working and workspace environment is seen as being a horizontal function straddling many disciplines. The next 5 years will see an accelaration in the growth of the generic workspace. ‘No one can speak twice until everyone has spoken once’ was a lovely approach from David Pearl (Founder of Street Wisdom) to ensure everyone in the plenary session got their say. People and conversations matter, in fact they are vital for innovation and knowledge sharing: people share not technology. I realised halfway through the session how important it is to have the imaginery ‘water cooler’ or coffee station area where you can go to share and be stimulated. By listening to others I was able to craft an agenda which otherwise I might have struggled with. 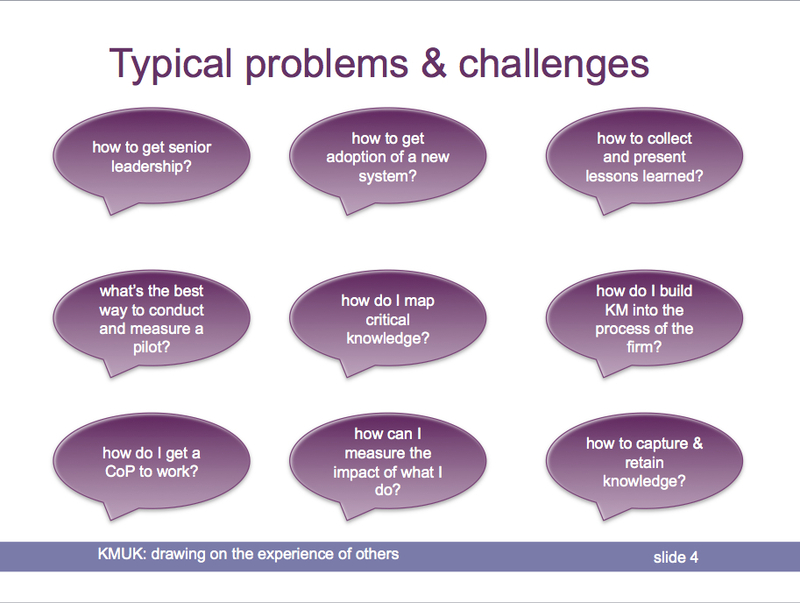 And finally, I managed to create a wrap up session for next week’s KMUK event. Watch this space to see what I did and how it went. Re-Imagining Work remains one of my all time favourite videos. Dave Copin imagines what might be possible if more organisations embraced the empowering potential of technology and encouraged a truly open working culture. It is a great accompaniment to this discussion and one I use frequently to stimulate a debate. This quote from one of the presenters was a great way to end what was a really enjoyable and rewarding couple of days at the 11th KMUK held a few weeks back. Despite sharing chairing duties with David Gurteen I managed to capture much of the social media activity on Day One and publish a series of Storify accounts. On Day Two I upped the informality and attempted to broaden the gamification debate with Andrzej Marzcewski. A lot of ‘Operational KM’ activities emerged but I will focus on presentations from Alim Khan who outlined a very interesting technique in co-creating a report (writeshops), gamification session with Andrzej and an energetic performance from Patricia Eng on the US Nuclear industry’s knowledge capture and retention programme. Knowledge Capture & Retention in the US Nuclear Industry – a story of passion! Don’t worry if you don’t have much money, what you need is PASSION, hang about the cafe. Replaces the old smokers room. The slide that caught my eye though was this one. Apart from the fact that Patricia’s efforts save $37m she rightly focused on the pain points one of which was around departing knowledge. It was a theme that came back a number of times and Patricia’s work inspired a similar exercise at Lloyds Register. Avarice: I want my cv to reflect what I’ve done and I see this process and the stories it generates helping me as a freelancer. In fact this ‘What’s in it for me’ motivational issue is often overlooked by many KM’ers and is one of the core foundations of the work I am doing in Iran with Ron Young. And here’s where I disagree with many in the KM community who are convinced that if you get the culture right then knowledge sharing naturally occurs: There has to be something in it for people to be willing to share what they know. Dr Alim Khan is an incredibly well educated individual who thrives on complexity and with whom I had the good fortune of spending two weeks in Darfur as part of a mission to see how KM might be grounded in a humanitarian crisis. 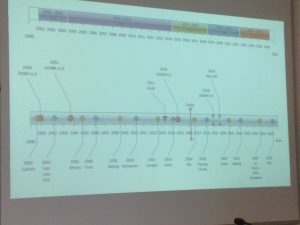 It was therefore not a surprise to see him presenting on the topic of how to accelerate completion of a project report and findings using a wiki based on Christopher Alexander’s Pattern Language work. This was a great example of non routine content aggregation via the coordinating mechanism of a wiki -from workshop to writeshop. ‘Building a collaborative knowledge product at the WHO’ was a session that showcased new thinking. 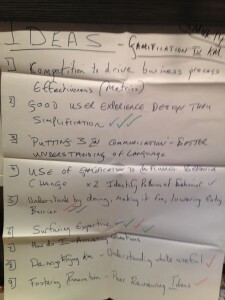 The previous week Andrzej led a Knowledge Cafe session on Gamification in a KM Environment. Once again this was an entertaining talk focusing on the psychology behind the use of games and especially the variety of user types (stakeholders) an organisation needs to consider and their motivations (the ‘\what”s in it for me’ again) for participating. what role (if any) do you see for gamification in KM? 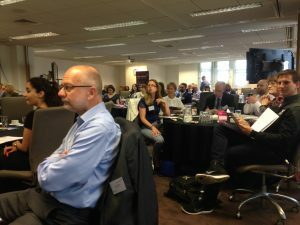 I was particularly drawn to the idea of surfacing expertise (which is how CapGemini where Andrzej is the Intranet supremo uses the technique) and the idea of using Gamification to demystify KM. My take: Gamification is a big leap to make for senior executives who have not grown up in an online interactive environment. As Andrzej points out each one of us who uses LinkedIn is engaged in Gamification; ditto those of us with loyalty point cards. Its about how the technique is introduced that matters and where it is targeted. Danger of Community of Practice – correlation doesn’t give rise to causation. 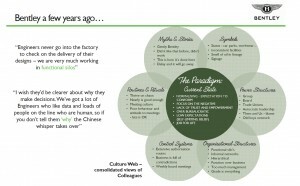 Understanding the history of the organisation is a key to understanding its culture. The idea of creating a big database of lessons (identified) only works if those are then fed back into the workings of the organisation – then they can be described as ‘Lessons Learned’! Most aren’t which is why the idea of a pool of case studies is often also a waste of time. Its rare for two cases in one organisation to be the same so why would you expect something that happens someone else to be a perfect fit for your own organisation. Future of KM is facilitation, not management. Needs to be part of the how we natively work & relate. Does Gamification work in a Knowledge Management environment? I first heard Andrzej at Ana Neves’ excellent 2013 Social Now event in Lisboa where many of the presenters described how they’d used gamification techniques. It occured to me then that as communicators and marketers are increasingly using Gamification for engaging with staff and external stakeholders, so why should Knowledge Managers be different? Fast forward 12 months and Andrzej, Steve and I are talking about whether Gamification might work in a Knowledge Management environment, the topic of Andrzej’s presentation and a joint session I am running with him at this year’s KMUK event on 11th and 12th June which I have the pleasure of co-chairing with David Gurteen. where it can be most effective and with whom? Over the next few months Andrzej, Steve and I are going to be trying to identlfy whether examples really do exist and if not why not! In Steve’s excellent presentation to NetIKx he unearthered a couple of great examples from the world of health including Pain Squad – the App that gamified healthcare in Canada but he struggled to identify KM examples. Perhaps its because we associate the phrase with technology? are all examples of gamification – that by doing and experiencing knowledge is shared, people are engaged and behviours shift. More in the months to come. Keep watching Andrzej’s excellent site for a chance to participate. 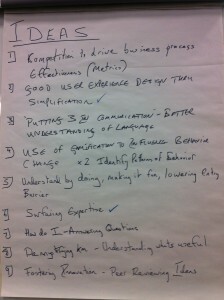 Here’s the outcomes from the group sessions at KMUK of where KM’ers thought Gamification might work in a KM environment.